Want it by Wednesday 24th April? Order within 3 days, 23 hours, 38 minutes and choose Next Working Day - Kerbside Delivery (Order Must be Placed by 2pm) at checkout. Canterbury Barcelona is an 7mm thick laminate. 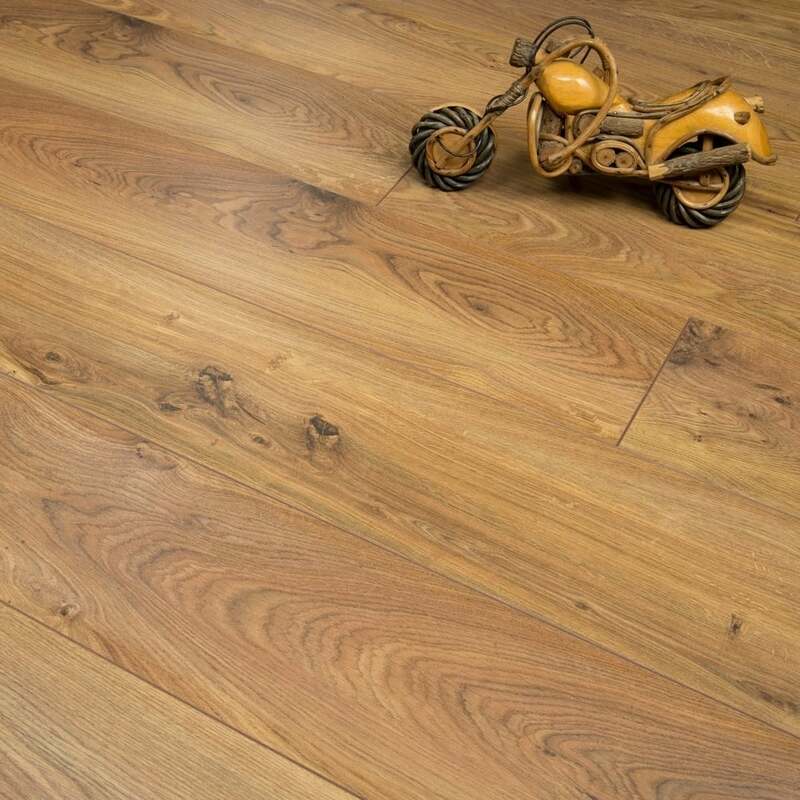 This medium oak has great durability and wear-ability. Free samples and underlay fantastic, delivered quickly. Beautiful floor - slightly darker than expected but very natural looking. Great quality, it takes a lot to mark this floor and Ben then it buffs and cleans out easily! Perfect for living areas and goes amazingly with oak furniture.